We offer the largest variety of fuel types and accept a wide range of billing service cards for your convenience. We've worked hard to make buying our products easier. Choose from a broad range of ExxonMobil personal and commercial credit cards that can make your journey easier and more rewarding. In addition, ExxonMobil Gift Cards make the perfect gift for people on the go. And remember, there's no faster way to pay than Speedpass™, our exclusive and free keychain device that allows you to simply point at the pump to pay for gas. 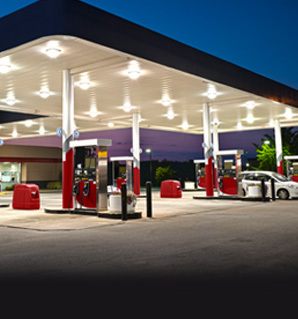 Whether you need to manage fuel for a few business vehicles or a whole fleet, ExxonMobil commercial cards can help your company save money on gasoline, as well as monitor and manage employee gasoline expenses. ExxonMobil Gift Cards make great personal or business gifts and can be used for purchases at the pump or in the store at nearly 10,000 Exxon and Mobil stations across the nation. More convenient than cash, Speedpass is the quick and easy way to pay for purchases. Not only is it free to get and free to use, it's accepted at thousands of Exxon and Mobil locations nationwide. Our most popular gasoline, developed to meet the needs of most vehicles. Developed to meet the needs of vehicles that can benefit from a higher octane. To find out if your vehicle would benefit from a higher-octane gasoline, check your owner's manual. Formulated to meet the demands of some of today's most advanced engines, it generally has an octane level of 93, but is blended with an octane level of 91 or 92 in certain areas of the U.S. To find out if your vehicle would benefit from higher octane gasoline, check your owner's manual. Our Ultra Low Sulfur Diesel fuel is made to meet the needs of the most demanding customers. This diesel fuel is formulated to be used by any consumer diesel-fueled vehicle on the road. Our diesel fuels are blended to provide good ignition quality and are held to high-quality standards for our customers. Their low-temperature fluidity characteristics can also help keep your vehicle moving in colder temperatures. Perfect for BBQ's, forklifts, motor homes, construction, and more! Propane products and prices subject to change. We help you go the distance time and time again with a full range of motor oils - from conventional to advanced synthetic. Keep your engine running like new with Mobil 1 - the world's leading synthetic motor oil brand. Mobil 1 advanced synthetic motor oils deliver performance beyond conventional motor oils, including exceptional wear and sludge protection, even in extreme conditions. Formulated like no other, Mobil Delvac 1 is a fully synthetic, heavy-duty diesel engine oil can help extend engine life, provide long drain capability, and offer potential increases in fuel economy for modern diesel engines operating in severe conditions. Trust your investment with the technology leadership of Mobil Delvac. Mobil Delvac lubricants help maximize the life of diesel-powered engines in big rigs, pickup trucks and other heavy-duty equipment. For trusted performance and long engine life, Mobil Delvac is chosen by many of the world's leading original equipment manufacturers and commercial vehicle owner/operators.